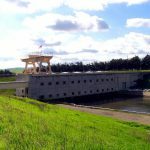 The SJRRP has multiple projects planned to restore flows to the San Joaquin River and improve fish passage from Friant Dam to the confluence of the Merced River, and to reduce or avoid water supply impacts to the Friant Division long-term Contractors. View a summary of each project below, or click to learn more about the project’s status. 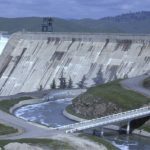 The Reach 2B and Mendota Pool Bypass Project will create a bypass channel around Mendota Dam while maintaining the ability to deliver 2,500 cfs to the Mendota Pool and increasing the Reach 2B capacity to 4,500 cfs. This Project includes restoration of flow capacity to the low-flow channel within the Eastside Bypass, removing accumulated sediments in the channel, and removing fish passage barriers to facilitate the passage of fish and Restoration Flows. 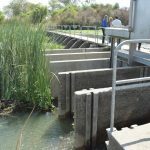 This Project includes introducing a fish screen at the Arroyo Canal and modifying Sack Dam to facilitate fish passage. 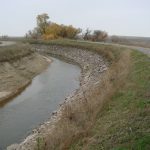 Roughly 47,000 acres of agricultural land in the San Joaquin Valley are provided water delivery from the Arroyo Canal. This Project includes an inventory of gravel pits, identifying pit prioritization factors, collecting data to fill gaps, and finally prioritizing pits using this data for gravel pits in Reach 1. 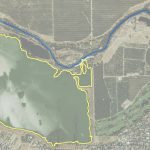 The Friant-Kern Canal (FKC) has lost its ability to convey its design capacity, resulting in restriction on water deliveries to the Friant Contractors. The FKC Capacity Restoration Project will work to restore the capacity of the FKC. 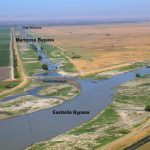 The Madera Canal Capacity Restoration Project is intended to restore canal capacity and/or improve the reliability of water supplies to Madera Irrigation District (MID) and Chowchilla Water District (CWD). 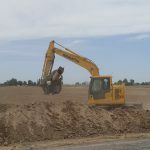 Drought Funding will be used to evaluate reverse flow pump-back facility alternatives along the southern portion of the Friant-Kern Canal that will help improve long-term resiliency for the Friant Division Contractors. 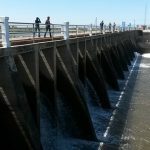 This effort includes: completion of the Recapture and Recirculation (R&R) Plan, including the agreement for the recapture of Restoration Flows from the Delta; completion of an Investment Strategy update; EIS for R&R; and completion of a post-mortem for 2016 Restoration Flows. 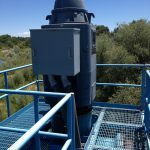 Groundwater Banking Projects provide financial assistance to local agencies to design and construct groundwater recharge or banking facilities that offset water supply impacts to Friant Contractors.